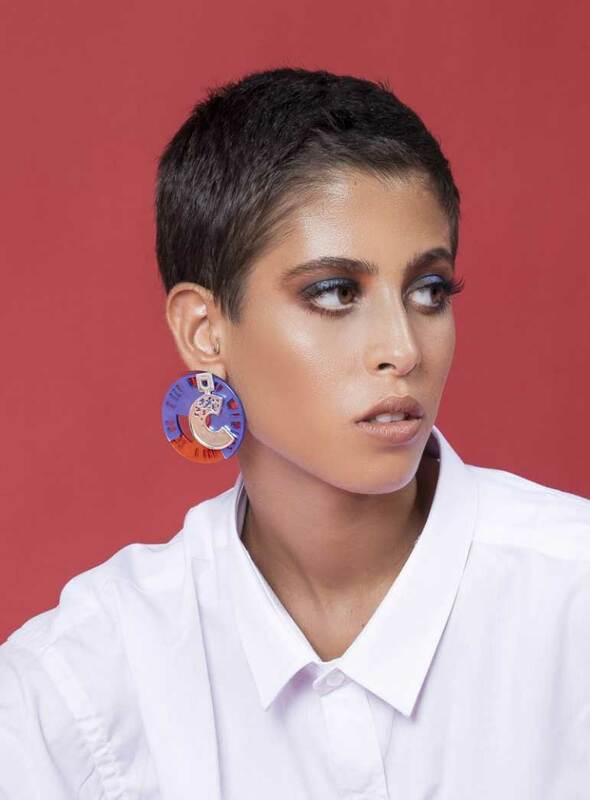 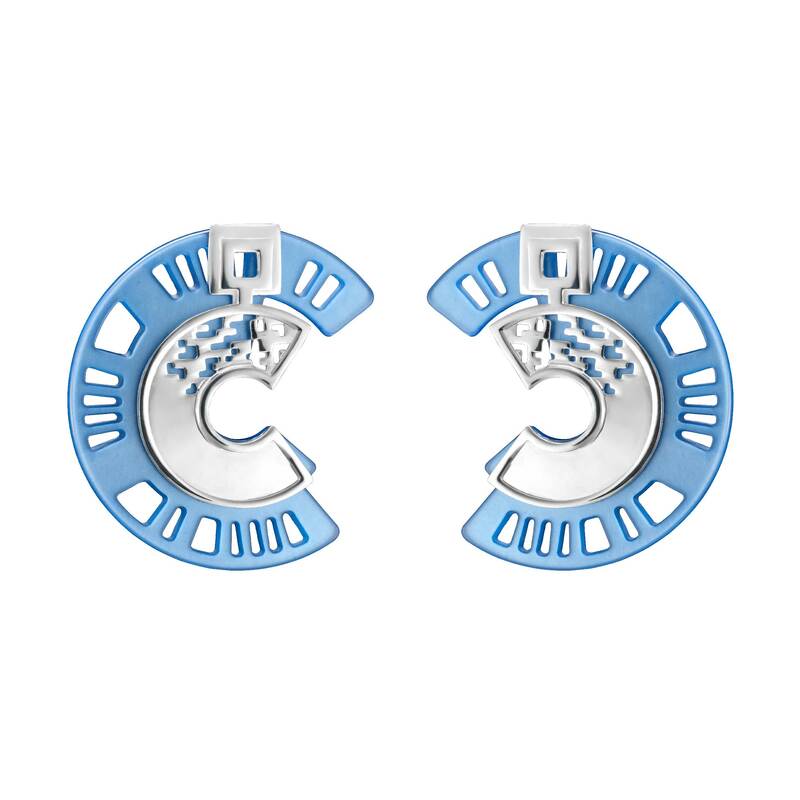 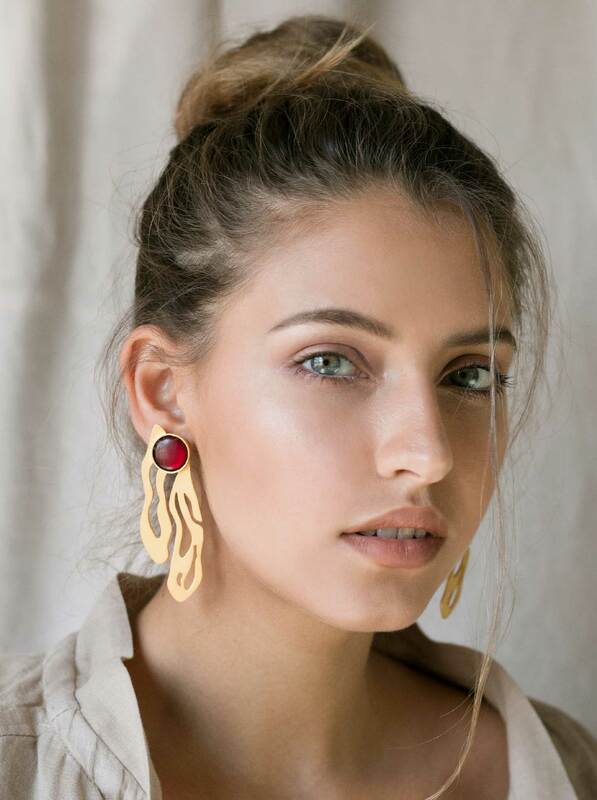 Inspired by city maps and street intersections, these Urban Maze Earrings celebrate the woman as she wanders through the city's urban maze, and finds her escape through the cracks in the structures. 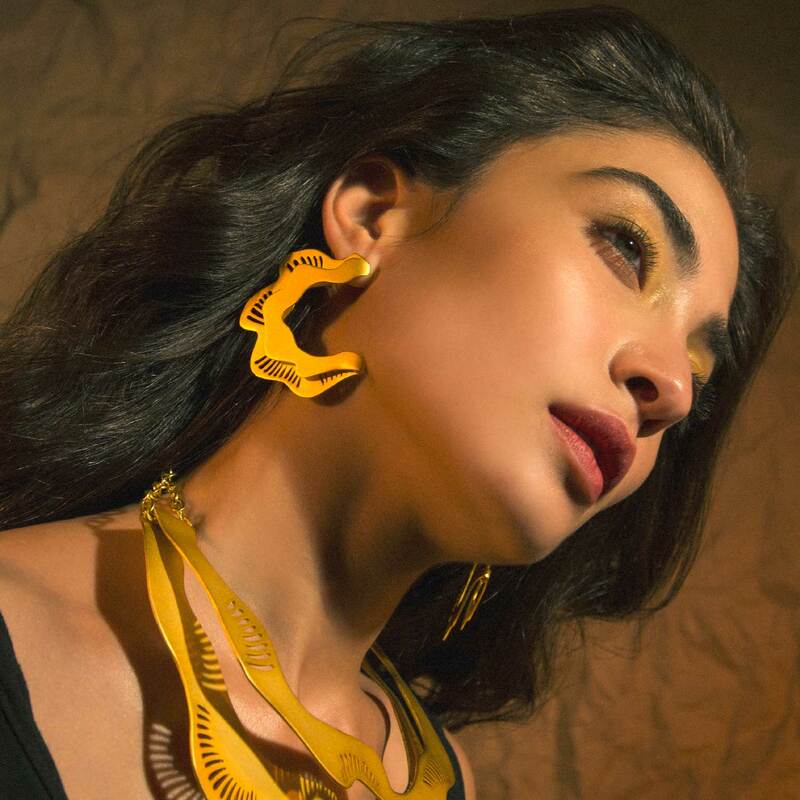 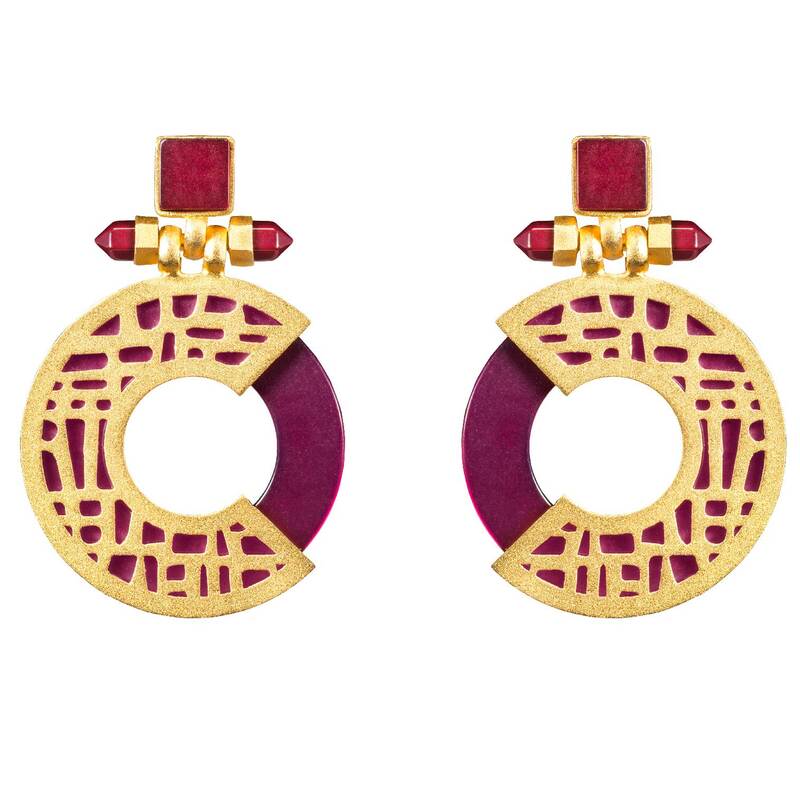 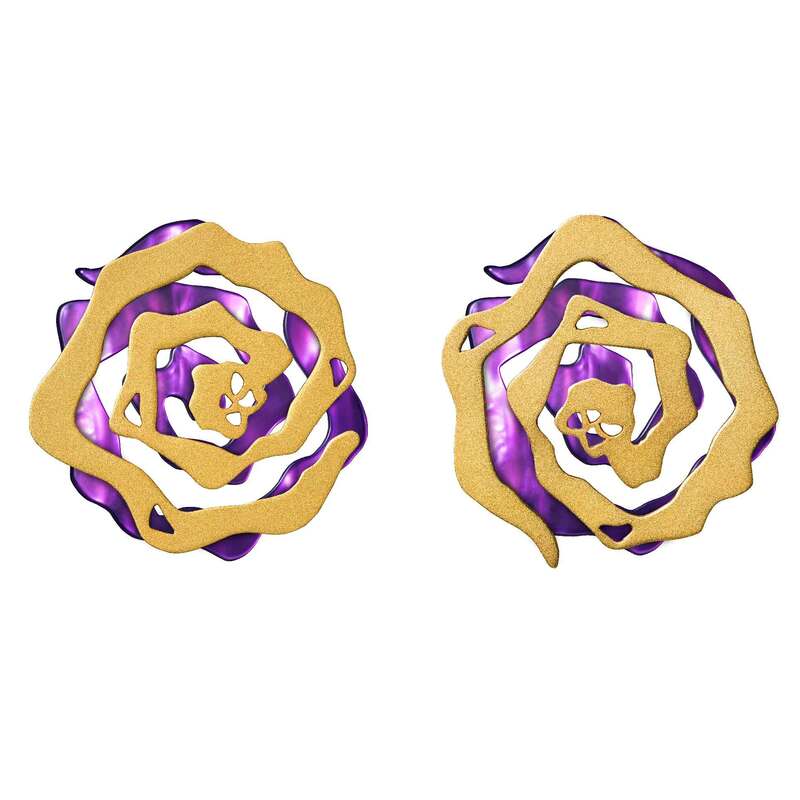 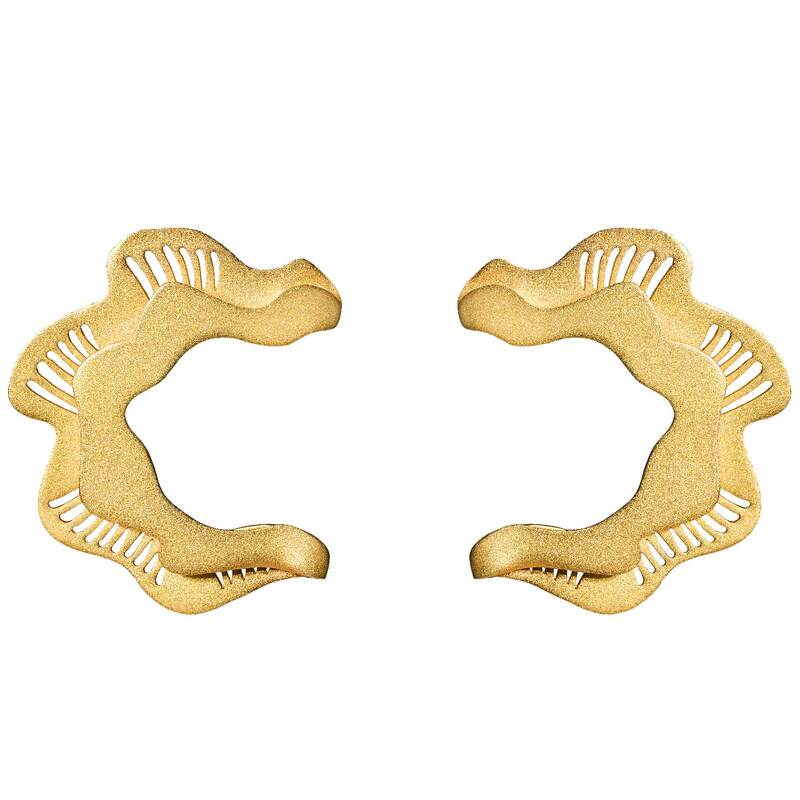 These handcrafted earrings are made of brass, dipped in 18K gold with a matte finish. 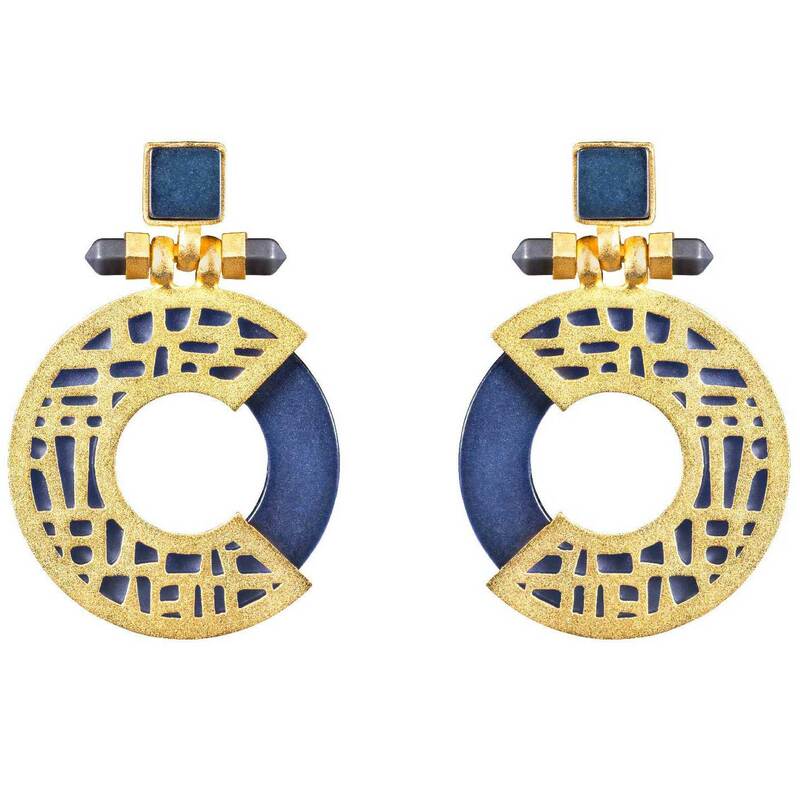 They feature cutout detailing and a custom-made hoop Resin stone. 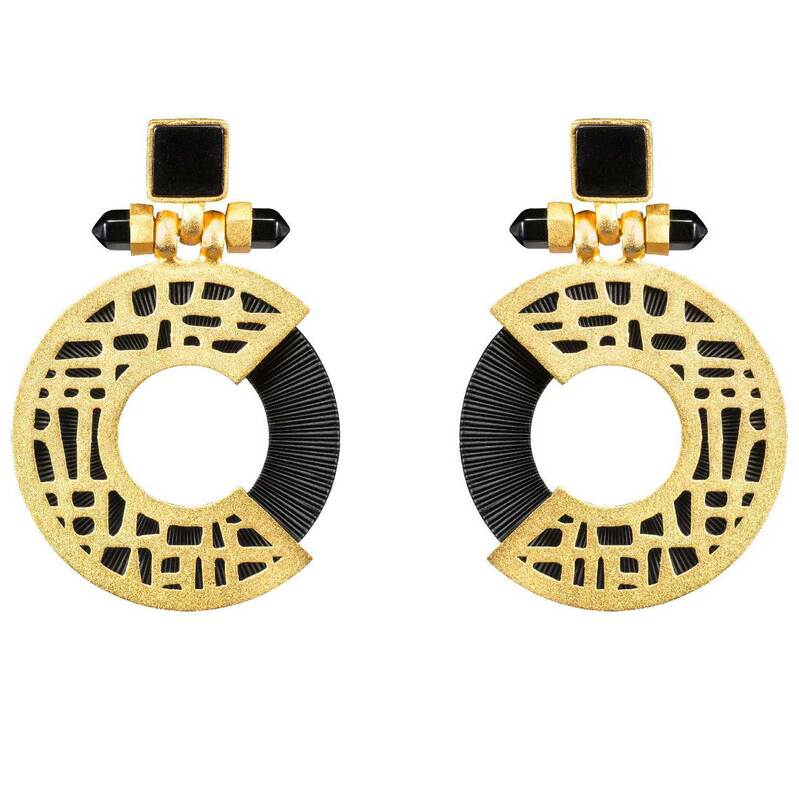 Dimensions: H 5cm x W 3cm. 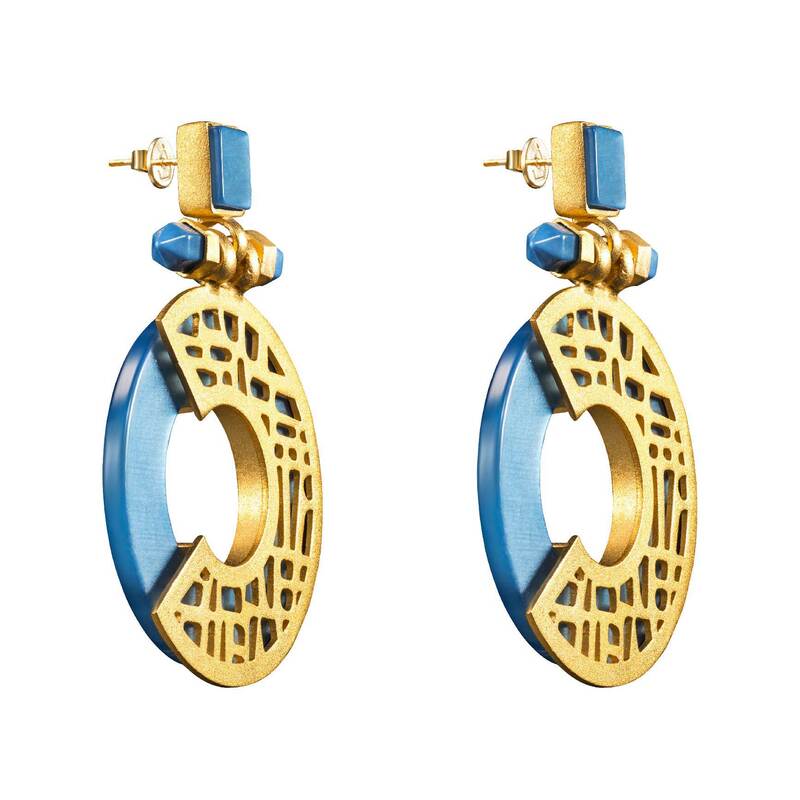 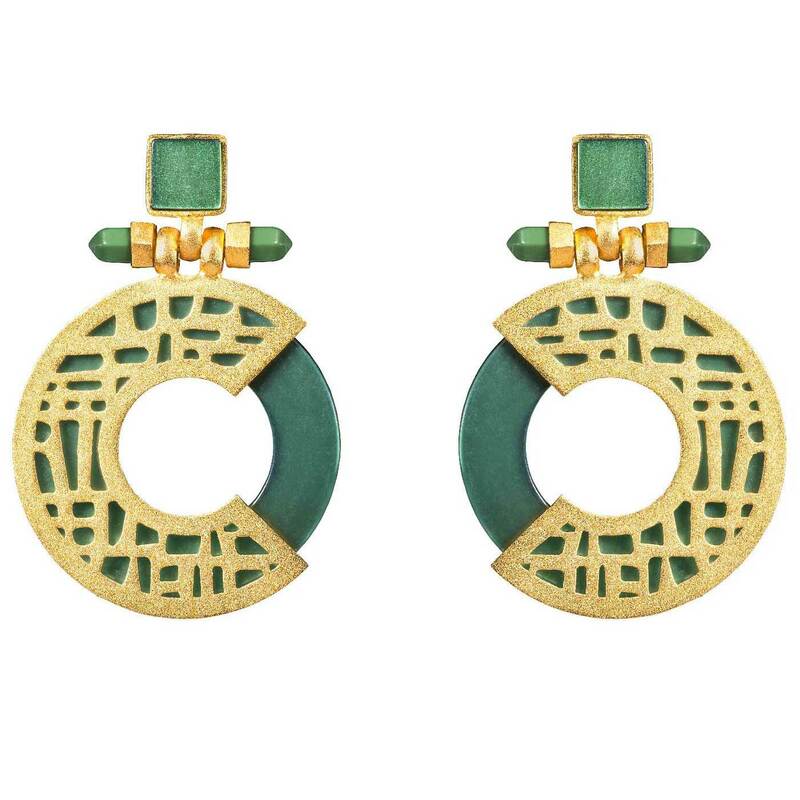 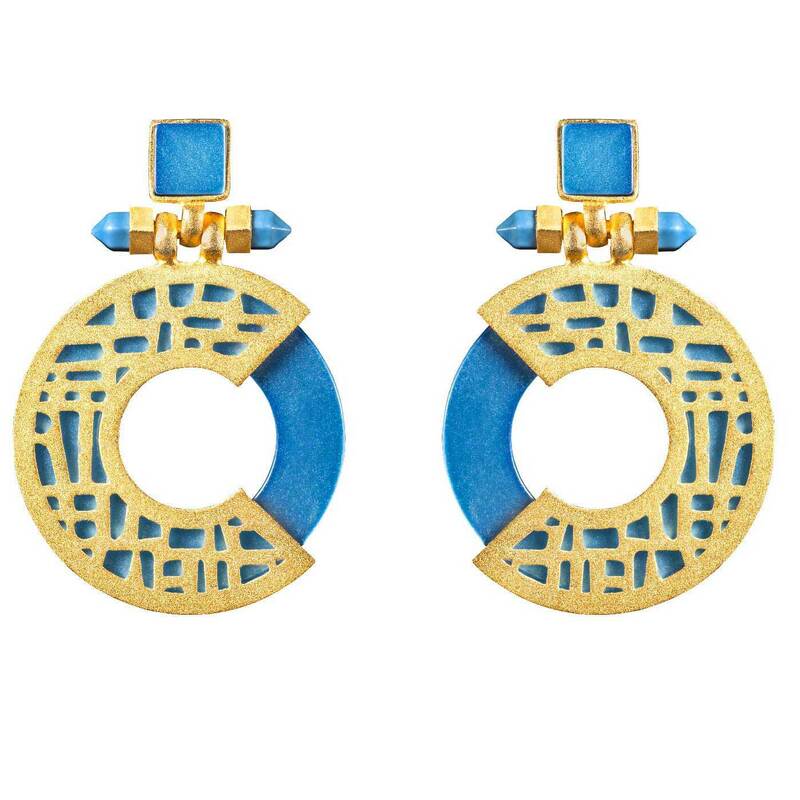 These Earrings were designed to be flaunted with a matching Jude Benhalim Urban Maze Cuff. 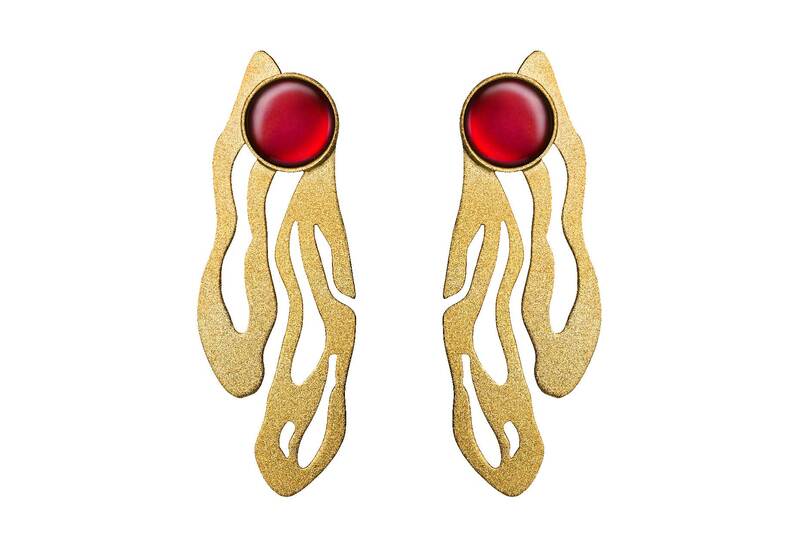 They feel really lightweight despite their size, so you can wear this pair all day long.